I love a good cup of Tea. I love it hot and cold and probably drink at least one cup a day if not more. Finley is also a huge fan of tea and we often have little tea parties. 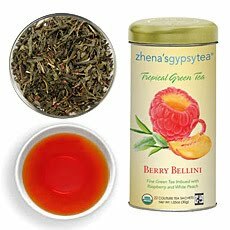 My mom introduced me to the Zhena’s Gyspy Tea brand of teas and I fell in love. Not only do I love the flavors of quality tea, but the health benefits are also beneficial. 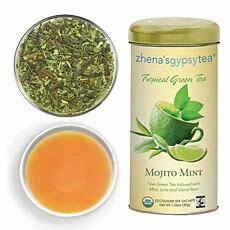 Zhena’s Gypsy Tea offers amazing tasting tea with many health benefits. I was sent two tins of flavored green tea from Zhena’s Gypsy Tea Tropical Line. When you’ve been sipping yourself into bliss for 5,000 years, you learn about the life of good health that a simple cup of tea brings. Zhena’s Gypsy Tea combines the ancient tea blending principles that began with the earliest monks and herbalists with the latest health research, to produce hand-crafted, premium quality, all natural and organic healthy infusions with innumerable benefits. Green tea is tea that has undergone minimal oxidation during processing. The leaves have been steamed, rolled, then fired. Over the last 20 years, green tea has been the subject to many scientific and medical studies to determine the extent of its long-purported health benefits, with some evidence suggesting regular green tea drinkers may have lower chances of heart disease and developing certain types of cancer. Green tea like white tea undergoes less processing, so more of the tea leaf’s beneficial properties remain intact. Green tea has half the caffeine of black tea and varies widely in appearance and taste. I received a tin of Berry Belini and Mojito Mint. Both teas have fabulous flavor. Finley loves the berry tea and I really enjoy the Mojito Mint. I find that it also helps with nausea when sick. 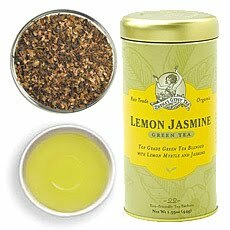 Gypsy Tea is offering one of my readers two tins of their awesome Tea. One tin of each flavor I received. To Enter just simply head over to Gyspy Tea’s website and come back here and tell me in a comment another flavor of Tea you would like to try. Giveaway Ends May 4th, Winner will be announced May 5th. Good luck! Kicky pants is a wonderful online boutique offers playful and darling styles for mothers and babies while being extraordinarily breathable, soft and cozy for all seasons. Erin Cloke owner and CEO of Kicky pants is the mother of two boys and started Kicky Pants while on bed rest with her second baby. Erin wanted to spend her time on bed rest doing something that could benefit her whole family and also put her creative skills and ideas to work. When she couldn’t find baby items in stores that just didn’t exist she decided to make them. The Kicky Pants Bamboo line is Eco-friendly, antibacterial and anti fungal. 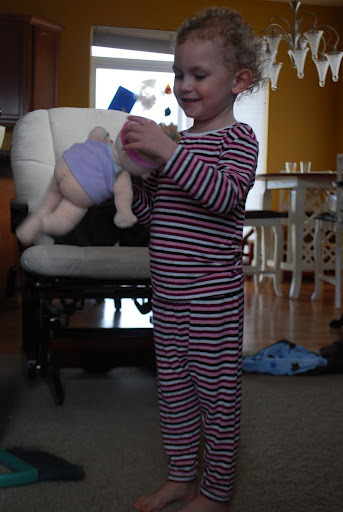 Kicky Pants sent us an adorable pj set from the Bamboo Basics line for Finley. The colors are beautiful and bright and of course the material is amazing. 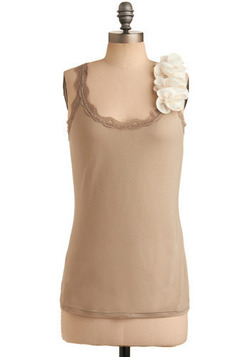 Soft, breathable and can be worn even on hot summer nights or cool winter nights. That’s the beauty of the bamboo, it stays 2-3 degrees cooler in the summer and warmer in the winter. Finley loves her new PJ’s and so do I. They are easy to wash and dry and now Finley’s go to PJ’s. 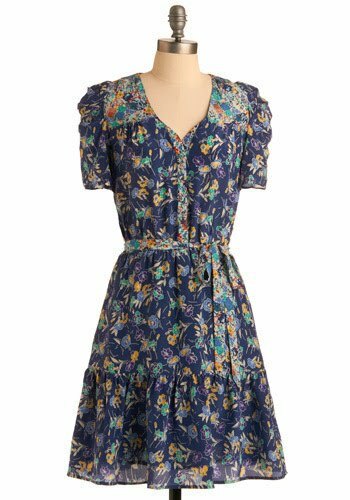 Kicky Pants is an awesome boutique and we will surely be purchasing from them in the future. The kids are in a photo contest to win a photo session from a Wyman Photography here in Missoula. We would appreciate your vote. (I’m sure all you mamas know how spendy photo sessions can get!) You can vote daily and all you have to do is “Like” Wyman Photography on FB and then post vote under each of the kids photo. They are #2 and # 3 in this Album. THANK YOU LOYAL READERS! 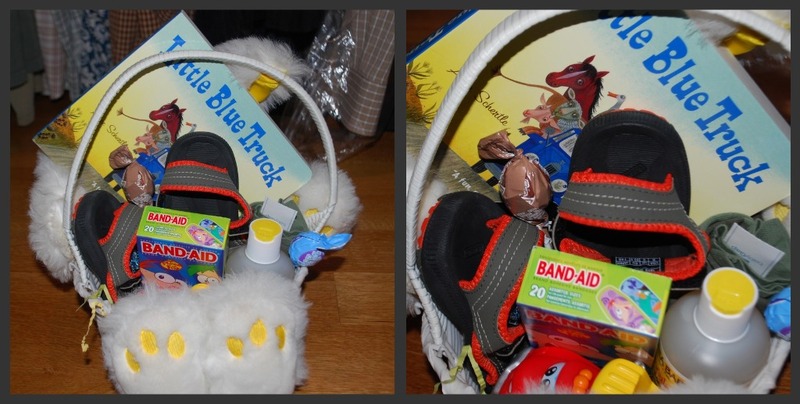 I finished my Easter shopping for the babes today, and the baskets are all put together and ready to go. I love Easter baskets, giving them and recieving them. Since I’m a little old for them now I have a blast giving them. Okay I lied…I’m not too old for them, infact my mom doesn’t think so either and she still does them for my sister and I. 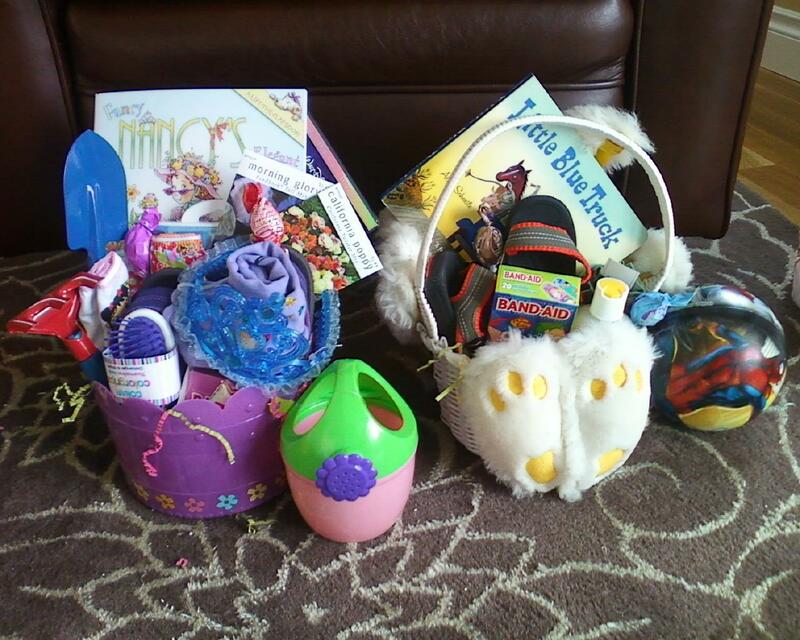 As well as adding to Finley and Ezra’s baskets. My mom always put practical items in our baskets growing up, such as clothing, hair products, make-up, and the usual favorite candy. I loved our Easter baskets because they weren’t full of junk or little things that would get thrown away eventually. So mother like daughter I do the same. Sometimes it’s hard because my kids are still little and enjoy candy and toys. But these littles are so darn spoiled they get toys and candy often from family members and friends. Ezra’s doesn’t have as much, but he is a little harder since he is so little and I like to include things they actually need. Most of the items were purchased at Target with a few exceptions. The sandals were purchased at a local boutique here in Bellingham and the Tees at Baby Gap of course. I do have a couple things coming from a few Etsy shops to add, but have yet to recieve them! I hope this is helpful for those of you who don’t know what to include in their little one’s baskets or even give ideas for your hubby, wife, mom or dad. Because really, we all love to get a basket filled with goodies! Okay, I know I know. I have been lacking in the blogging department big time! There has just been a lot going on lately and I kind of needed a break. A break from blogging, a break from the computer. Time to just hang with the kids and drive from Montana to Washington to my parents. WHAAAT? Yep, I packed the car up on Wednesday, loaded the kids in and drove from Montana to my sister’s in Seattle. Then I drove up North to my parent’s house Thursday morning. I needed a break from being lonely and sitting in the house. Time to think and to spend with my family. So here I am and it feels good to have just been able to get up and go, drive by myself that far. I’m proud of myself, I feel strong and not so lonely, knowing what I can do if I need to. My cousin is here staying at my parent’s and it’s nice to catch up with him and have another adult to talk to where there are no expectations, just friendship and real conversations. You know, the ones that don’t involve potty training, princesses and fit throwing. It has been nice to just feel out my feelings and be with my family. I also really have missed my hometown and the cousin and I made a trip to my favorite grocery store…yes I have a favorite grocery store. In fact Finley tells me she misses Haggen almost everyday, so I’m not the only weird one. Haha. But she is my offspring so that makes sense that we both may or may not be weird. We will be here for a little longer then head back to Montana and hopefully start up some new hobbies to keep a little busier. My Scentsy Party is still going on, so please go order if you need new product or if you have not tried scentsy yet. I’m loving my new scentsy products. They make my house smell delish and my warmer sure is puurrty! I’m participating in the I love My Mommy Giveaway Blog Hop along with numerous blogs for Mother’s day this year. On May 5th I will have a great giveaway posted for you lucky mamas! Good luck and stay tuned! Yesterday, Aaron came up behind Finley and scared her with a big roar like he often does. She is so funny and very clever. 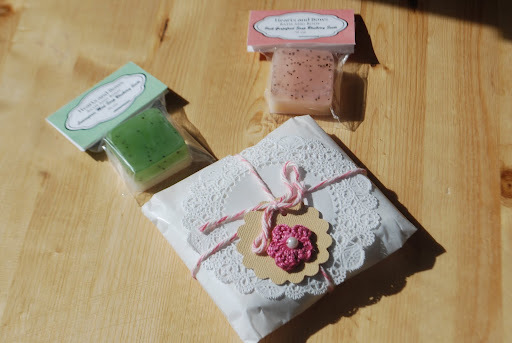 I came across Hearts and Bows Bath and Body on Etsy, (big surprise there! )while looking for some fun and different little things to add to Finley’s Easter basket. Fin is really girly and starting to be all about princess items, lipstick and perfume are apart of that category so I wanted to find some yummy lip balms and heavenly smelling soaps. Hearts and Bows has just that and is a lovely little shop filled with wonderful handmade girly goodies. Hilda, shop owner. Sent me a sampling of lip balms and two gorgeous little soaps. 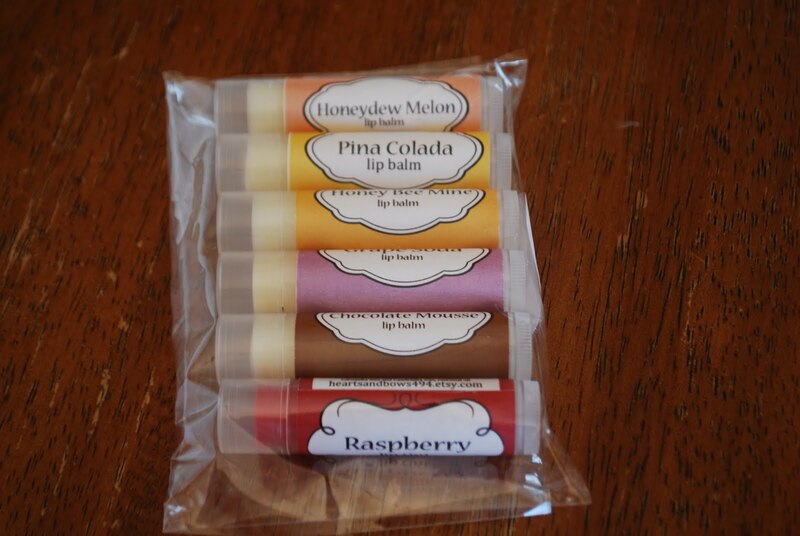 Some of the flavors of lip balms included Grape soda, Pina Colada, Honeydew Melon, and a Raspberry lip tint. I love the lip tint, it is perfect a perfect shade and tastes yummy too! 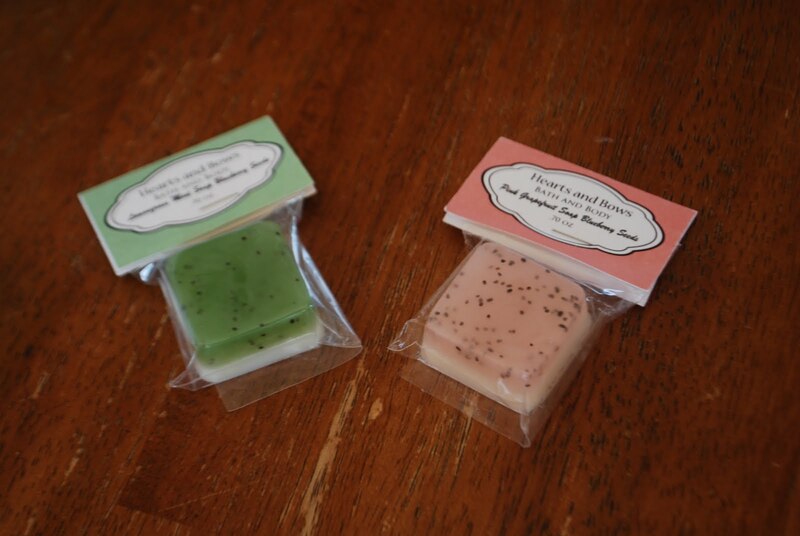 The soaps we received smell like heaven. I love Grapefruit anything and this has to now be one of my favorite soaps. It’s smooth and leaves my skin moisturized nicely. I also loved how Hilda packaged the items. They came so pretty and perfect, I almost didn’t want to open them. But then I did and tried them and I’m so happy I did. The flavors are wonderful, spot on. Not too strong and not too subtle. Hilda is offering one of my readers the chance to win a Lip Balm addict 6 pack, a lip tint and perfume oil. To enter you MUST “like” Hearts and Bows Bath and Body on Facebook. 1. Visit Hearts and Bows Etsy shop and tell me what item you would like to try the most. 5.Leave a meaningful comment on a non giveaway post. Giveaway Ends April 15th winner will be announced the 16th. Good Luck!